Pantulu remembered the prophecy of his daughter, Bharatamma. As per his promise to her when she was on her deathbed, he planned to create a wonderful philosophical atmosphere in his premises. Scholars were appointed to daily chant the Vedas. Early in the morning, Purushasooktam, Namakam and Chamakam were recited following the prescribed rhythm. Some persons were assigned the recitation of 'Vishnu Sahasranamam,' 'Siva Stotram,' and verses from 'Oundarya Lahari,' of Shankaracharya, and other classical verses were also recited daily. Pantulu was inviting scholars from all over India to take part in philosophical discussions. His premises was transformed into a nucleus for dissemination of Vedic philosophy and spiritualism. The theories of karma, Rebirth, birthlessness, Brahman, salvation, non-duality, etc., were reverberating there as if it were a saintly abode. Thus the surrounding atmosphere was suffocating as the boy was shepherded to breathe, live, eat and sleep under a specially chosen 'spiritual ciborium.' The preparatory ground is part of a vital movement of spiritual flowering that was to blossom in his later life. Thus Pantulu molded his own life in accordance with traditions of ancient times on one hand, and he was having exemplary devotion and attention to the Theosophical Society on the other. Pantulu succeeded in modifying his house as a spiritual and philosophical center for the sake of the development and progress of his grandson. He spent much money and time to achieve his objective. His sole objective was to abide by his promise to his daughter and prepare the necessary ground for realization of her prophecy. He could now simply wait for the future transformations, in the life of his grandson, to take place. The boy became thoughtful; and he could not imagine her features, like this, like that, and so on. Then? He could not imagine her because she was an angel and angels are invisible. Krishna inquired about his father. 'He was somewhere as an employee. At his convenience, he would come to see you.' That was the answer. The boy was not informed of his father's remarriage, and that he had some children. Pantulu was performing prayers and worships regularly. He began to sit, along with his grandfather, and observe the process of worship, keenly, every day, as usual. The other inmates of the house were wondering at his attention and concentration of mind. In North India, there was a great devotee by the name Surdas. He was blind by birth. But he was singing a number of devotional songs on Lord Krishna in accompaniment of his single stringed musical instrument. It was said that when Surdas began to sing melodiously, Lord Bala Krishna was sitting behind him and enjoying the devotional songs. In those days, there were paintings of Surda and Bala Krishna in some houses. Some people who observed Pantulu and Krishna in the prayer room were comparing them at heart to Surdas and Bala Krishna. Even in early childhood, Krishna was very much devoted, and Pantulu was wondering at the immovable concentration of the boy. He was a little proud of his grandson and he arranged a separate prayer room for the boy. Krishna was not allowing anybody to step into his prayer room. A number of pictures and idols of different gods, and other worship material, were arranged in the room as he liked and he was worshipping God in his own way. Earlier, Krishna was sleeping with his grandfather on the same cot. But now, he was provided with a separate cot. But at midnight, whenever he woke up, Krishna was sneaking into the bed of his grandfather. To his great surprise, when Krishna woke up in the morning he was finding himself on his own cot. He could not know how he was coming back to his own bed. Later, he could understand that his grandfather was carefully bringing him back down, without disturbing his sleep, to his own bed. So whenever he wanted, at midnight, Krishna began to crawl underneath the cot of his grandfather and slept there only. What the boy wanted was the proximity of his grandfather, whether it was on the cot or beneath the cot. Grandfather was all-in-all for Krishna. By the time he was five years old, Krishna was mentally sharp and his memory was powerful. He impressed everybody with his ability to recite anything in a very short time. In the early hours of every day, the house was resounding with chantings of Vedic verses. The surroundings also were reverberating with them. Krishna would wake up gradually while listening to the recitals and gradually he, also, began to recite them. The sound vibration of the sacred verses travelled through the air and touched the boy. They naturally entered his ears and vibrated the eardrums. They, in turn, transmitted the vibrations of sound through the small chain of bones and activated the auditory nerves. Thus, the sound waves emanated from an external source, traveled in, and the pulsation was exciting and activated the glands of the body also. Sometimes, without knowing what he was doing, Krishna involuntarily got up from the bed and walked up to the place where the verses were actually recited. He sat there in a semiconscious state. On some days when there were no recitations, he got up and turned his attention towards the chanting room. Everything was silent there. But after some time he felt that he was listening to the recitals, though there were no such recitals actually. In those days, he memorized a number of philosophical books like the Panchadasi and Nishkarmasiddhi. He was able to recite the verses from them just like any other elderly scholar. 'Tomorrow itself,' replied Grandfather with a smile. The boy did not sleep properly on that night. Now and then, he was looking out through the window for the dawn. Thinking about Madras and dreaming of it, he had a disturbed sleep for a while. Early in the morning, he collected his clothes and was ready to go. He did not take his food properly. Both of them went to Bezawada and travelled by train to Madras. Krishna felt that it was a great experience for him to travel by train. It was the first time for Krishna to step into the compound of the Theosophical Society at Adyar. He was wondering at the persons, buildings and atmosphere all around. He felt as though he stepped into the a new world, unknown to him hitherto. In the evening, he was walking alone along the beach, collecting interesting shells. From behind, some gentleman approached him and began to collect a few shells for Krishna. The boy looked at him and wondered for a while at his pure white, even, perhaps, whiter than jasmine, dress. He had a supernatural attraction for Krishna. The boy thought within himself, 'Is he a divine being? Why is he here?' The gentleman walked forward on his own way. The boy stood still, looking at him till he was out of sight. How to describe him? How to know who he was? Whom to ask? Banglore was the summer resort for Pantulu. In the Basavanagudi Temple area, he was staying in a rented house near Shankar Mutt. He used to take children with him also. This time, Narasimha Rao, son of Saraswatamma, accompanied him, besides Meenakshamma. While staying at Banglore, Pantulu performed the first alphabet learning ceremony for Krishna. According to the Kannada Tradition, the boy was dressed in a long coat, a loose pajama and turban. He was taught the alphabets at an auspicious moment for the first time. There was a grand feast also. Krishna had a photograph with all of them. On return from Banglore, Pantulu sent his grandson to a nearby local school. Till then, Krishna had been like a free bird in the air. Now he did not like to be governed by the timings of the school. He started to abhor the school itself. Perhaps the innate energies and intellectual abilities get crushed in the framework of school life and consequently the children are turned into heartless robots and pygmies. Krishna had to go to school and so he was going, without evincing any interest. He was getting irritated often. The facial expression of the teachers and their behaviour were repulsive. In the school, punishment was felt as more important than teaching. Krishna was classified into a special category by virtue of his social status. Apart from that, he would never go unnoticed wherever he might be. He attracted attention and admiration. He would always be boisterous, full of childish pranks, chirping, jostling, and blithe. He was totally carefree—cares none—adventurous, audacious, strong willed, steadfast. He was kind, humane, considerate and generous. He was talkative, quick witted and excess money would be at his disposal. He had an ardent handful of admirers. The gravity of his presence was much sought after. The dividing line between Krishna and other boys was like the perfume of a flower and of a fruit. Krishna had a number of friends in the school. Atluri Venkateswara Rao was his best friend. For him 'Krishna was like a ripe, white Guava fruit (psidium pyriferum) in complexion and handsome. He was born in a rich Brahmin family, but he did not care for the distinctions in the society. He was highly sociable and friendly,' is what he said about Krishna. In some holidays all the friends used to assemble at the 'Mound of Tarts' and play there amidst ruins of 'Bouddha Aaramaas.' Mound of Tarts was a huge area, which was a hub of religious activities of yore. Jainism and Buddism flourished as state religions of ancient Andhra. In the course of time, disciples debauched with loose morals, hence it was abandoned. But the derogatory usage prevailed. Now and then, these boys would get old copper coins here and there in the ruins. Krishna avidly used to collect these coins and preserve them carefully. He was never going to a hotel alone. A number of friends always accompanied him and he was meeting with the bill, whatever the bill amount might be. If anybody stretched his hand and asked Krishna for a book or any other article, he would instantaneously give it away. He did not care to acquire anything for himself. 'This article is mine, so I should have it—none else.' Such thoughts were never entertained by him. In those days, 'Black Bird' brand fountain pens were very costly. Krishna was using it. Its nib was long and sharp like a needle. He would get it to school and sometimes pierce the table with it. All the classmates looked at him and his action in wonder. He knew that the pen became useless and he would not care. He would freely distribute balloons brought from Madras to his friends and used to play with them. He had a special affection towards poor boys. The teacher then asked him to tell what he had learned. He clearly explained the entire lessons, to the utter dismay of the teacher and all his classmates. The teacher was perplexed. 'This kid appeared to be inattentive throughout the period. But how is he able to narrate my lesson?' he wondered. In the arithmetic class, as usual, Krishna was sitting inattentively. He was absent-minded. The teacher noticed it and asked him to recite a particular multiplication table. The teacher was embarrassed when he got up and recited the whole table in a moment, without even a single mistake. All the teachers in the school did not come across such a student earlier. They could not understand him and his nature. Of late, Krishna had been coughing and Durgamma started her domestic treatment. He was given decoctions of black pepper and dried ginger mixed with Jaggery. The boy was spitting out sputum also and he was getting exhausted quickly. One day in the sputum, a streak of blood was observed and everybody was annoyed on seeing it. Pantulu felt that it was not an ordinary cough and immediately planned to take Krishna to Madras for treatment. Krishna was happy to know about his trip to Madras and he was not mindful of his cough. Pantulu consulted a number of expert doctors in Madras. Necessary tests were conducted. The doctors thought that the existing condition might lead to Tuberculosis. Pantulu was nonplused. In those days, a TB patient would die soon. No effective medicines were discovered in any system. 'Nature Cure' was the only rescue for TB, but it was felt as a prolonged treatment. Fortunately, Pantulu himself was well versed with the 'Science of Nature Cure' treatment. His personal library contained a number of Indian as well as foreign publications on the subject. He had been practicing what he read. Immediately Pantulu started to treat his grandson for TB. Tub baths, clay baths, sunbaths, etc., were important components of naturopathy. Diet was changed. Boiled vegetables, fruit juice, goat milk and its products, were his daily special diet. Early in the morning, Krishna was performing special exercises, in association with prayers to the Sun, facing the rising sun. Pranayama was a must in the morning; if anybody suggested any new medicine, Pantulu did not hesitate to administer it. It was learnt that cod liver oil, in small doses daily, would develop internal resistance for the boy. Immediately it was ordered for and obtained from Madras. It's flavour and taste was very unpleasant. At the very sight of it, Krishna was scared off. His hues and cries were uncontrolled. Durgamma pleaded gently in a humble tone, 'Please, please, Rumudu! Unless you gulp it in, the disease persists and you will become weaker and weaker day by day. My dear! You should not have had this malady. We all are also getting exhausted with anxiety. All the worry of your poor grandfather is about your welfare only. If you turn adamant and refuse to take the medicine, well, what else have we to do? Please gulp it in a moment!' thus her persuasion would make him open his mouth, though unwillingly, closing his eyes and nostrils. His grandmother would put in two tea spoons full of cod liver oil and he would swallow it. It's unpleasant taste on the tongue continued, even after gargling with water. He had to put up with all the trouble every day. Added to the oral discomfiture, Krishna was asked to wear a small loincloth and stand in the morning sun. Cod liver oil was applied all over his body and he was exposed to sunlight. In response to all the treatment and pranayama, the cough gradually abated and disappeared totally. The cardiospasm, however, persisted and Krishna had to fast to overcome it. Apart from hide and seek, and other playful enjoyments, Krishna used to invent innovative ways of playing. Each time he would come out with a new plan. Closing all the doors and windows of a room, Krishna would stay inside while all his friends would be outside. A small hole would be made in the window door for his friends to peep through at him, one by one. Inside the room, he would have a mask of a tiger, and make all sorts of gestures to amuse his friends. The children called it shadow play. The macro scheme of Pantulu, for futurity and its impact, was very effective on Krishna. The deep love for philosophy and spiritualism gradually spread in the body and mind of Krishna and got embedded. Probably that was the reason for his dislike for formal schooling. He started to concentrate more and more on the essence of all education, i.e., self knowledge, before completing seven years of age. The mansion of Pantulu had been the abode of philosophies. A number of scholars were appointed, on a monthly salary basis, to discuss an item, every day, thoroughly, among themselves, such as 'Upanishads,' 'Dakshina Murthy Stotram,' 'Brahma Sutras,' 'Bhagavadgita,' other philosophical books, and commentaries on them, along with their own commentaries. Krishna used to listen to them with rapt attention to them within himself. He would be quite thoughtful while trying to understand the Vedic philosophy. 'I must reach the peaks of philosophy and know the self. I must attain salvation. But how? By penance? If so, how, when, where? By chanting the sacred mantra ad-infinitum? Somehow or the other, I must attain salvation. I am determined to attain it at any cost.' Hitherto he had been desiring to ask God for the boon to show him his mother. But now Krishna would request for ways and means of attaining salvation. Krishna used to read classical stories, biographies of yogis, histories of 'Prahlada, ''Markandeya,' 'Dhruva' and other great devotees of God. Whenever he attentively read anything, it was assimilated immediately. Sometimes, while reading such books, Krishna was getting totally absorbed and getting elated. 'I, too, should be as great as 'Prahlada' or 'Dhruva,' he used to think within himself. Krishna used to dream that he was flying over the Himalayas and making penance there. Thus thinking and dreaming, he would enter slumber, his only aim being to acquire knowledge of self—to attain salvation. The seed had been carefully planted in fertile soil. It had sprouted and the tender roots were spreading, slowly stretching, absorbing strength from the soil, as it were. On the surface level, the plant was growing firmly upwards, spreading its branches in several directions. The seed with its fire of spiritual life would yield a harvest of light; one had only to wait and watch. There is a temple for Monkey God Anjaneya Swamy in Gudivada. Anjaneya is an ardent devotee of Rama. He is well known for bravery and boldness. He is a symbol of strength and devotion. Anjaneya Swamy is also called 'Bajarangabli' in many parts of India and people believe that if sincerely anybody adores him, saying 'Jai Bajarangabali,' the devotee gets immense strength. All the evil spirits and ghosts will vanish by mere mention of his name. Children have a fascination for Anjaneya Swamy. Krishna also had faith in him and he was his great devotee. As such, at his convenience, Krishna used to go to the temple to pray to him. He used to pick up a little vermilion from the feet of the idol and wear it between his eyebrows, in the traditional manner. Krishna was making a number of vows to Swamy and requesting him to fulfill his various desires. Krishna was offering coconuts to Anjaneya Swamy thankfully. Gradually, the number of promises of Krishna to Swamy became too many for the boy to abide by. If he could not, oh, no! Anjaneya Swamy would be offended! Thereafter, Swamy would not care for him. It is said that all mistakes of a servant would be forgiven if the servant prostrates before the master. But this principle won't work with Anjaneya. He is not Bhola Sankar to be pleased always. Somehow or the other all the promised offerings should be submitted to Swamy without fail, instead of facing his terrible divine wrath. Krishna wracked his mind intently and suddenly an idea struck him. Supposing that Krishna could procure sufficient money to purchase heaps of coconuts, he should offer them to Anjaneya Swamy in the temple. The priest patiently would break them all and piously offer them to Swamy. Then he would return half the number of pieces to Krishna, as propination. What to do with all of them? How to collect a number of persons to take them, or to distribute them, from house to house? How to carry so many half coconut pieces from house to house? Where is the way out? Incur the divine wrath? Oh, no, no! Suddenly, a question flashed in his mind. Though Anjaneya is omnipotent, why did he allow the indebtedness of Krishna to increase to colossal magnitude? Did he not know the glaring limitations of Krishna? He definitely knew it. Then? There is no solution for his problem. In 1925, it was announced that the Golden Jubilee celebrations, of the Theosophical Society at Adyar, would be organized on a large scale at Madras. Pantulu planned to attend with family to participate in the celebrations. Delegates were expected from all over the world. Arrangements for lodging, etc., of all the Indian and foreign participants had to be made carefully. The number was expected to be quite large and, as such, Pantulu thought that he would be a mere insignificant visitor, inspite of his close proximity. He hesitated to go. But his mind was frivolous. It was ossilating between yes and no. Pantulu discussed the matter with his wife at length. Krishna followed the discussions keenly, and he, for himself, wanted to attend to the celebrations. When he had gone to Adyar for the first time, he was fascinated by the ambience there. Then, he felt he should visit that august place once again. Now, the chance has come. But his grandfather was in two minds, causing disappointment. A golden chance is being missed. Krishna dropped the idea to approach Swamy, crestfallen. Yet, his avid desire to go to Madras resurrected strongly, once again, with multiple fold. But he was helpless. Thus, cogitating deeply, he fell asleep, dreaming about the Adyar trip. The next morning, by the time he got up from the bed, he was informed that the trip was confirmed. He was overjoyed and over enthusiastic. At last, his desire materialized. But how did this happen? He did not beseech Swamy. Then? He could not know how the decision was changed overnight... how this miracle occurred. After prolonged thought of this miraculous happening, suddenly a new idea was unveiling itself before him. Had he stumbled upon a fantastic thing anew? Yes! Behind this journey, a very stronghold force was there. A power-studded, odylic will was crystalized. It dawned, that absolutely his mighty thought force was worked out, which bended his grandparents to succumb. Hereafter, he can achieve whatever he ardently wishes for. In ancient times, the saints, and other ascetics, were able to curse, if displeased. They were suggesting ways and means also for deliverance. If it was possible for them, why not for me? If they had power of penance, I have purity of heart. Yes! thought, word and deed, I can achieve desired results. When I grow up, I shall definitely enhance my willpower immensely. The new way of thinking in him began to settle and stabilize itself, steadily. Without depending upon Gods in the temples and relying upon anybody else, Krishna wanted to achieve what he wanted, by himself, with his newly acquired force. This is an outstanding example of where will prevailed over matter. Thought is a potent force and powerhouse. At the age of seven, he came to know the innate and inveterate power of thought. Thus, Krishna crowned himself. Pantulu went to Adyar with family to attend the celebrations. He actively took part in the organization of the celebrations. Krishna observed the different items of the program in his own way. He was enjoying his stay there. A number of Europeans and others were also present. He observed their behaviour, dignity and demeanour. The surroundings appeared like a brave new world altogether. One evening, under the great banyan tree of Adyar, Krishna observed an inspiring speaker, addressing the august gathering in English. She was clad in perfectly white dress, like an angel, just descended from the heavens. He did not know who that divine messenger was. He could not understand what she spoke. He could only guess that she was a great person and that was why the audience was spellbound. He was thoroughly thrilled, enthralled, and an ardent desideratum engulfed him to learn and speak English, fluently, like her. He should fearlessly converse with Englishmen, like them, and get their applause also. Krishna stood stock still, looking at her with wide-open unblinking eyes. Her fluency and sweetness of speech could impress anyone. Krishna totally forgot himself and where he was, while the great eloquent speaker usurped his attention, totally, all the while. She concluded her talk and left the dias. After some time, Krishna became conscious of himself and the surroundings. His whole body was felt as having some exciting currents and ecstasy. Later Krishna learnt that she was Annie Besant. Pantulu told him that she was called 'Vasantha Mata' by the Telugu people. Krishna observed that his grandfather had a few European acquaintances and that they were talking to him freely. Krishna felt a little proud of his grandfather. Pantulu could understood that his grandson liked Adyar and the surroundings. He, therefore, thought that if Krishna would be educated there, his ambition would be fulfilled without any difficulty; the prophesy of his daughter, too, would become a reality also. It would therefore be wise to educate Krishna at Adyar; Pantulu thought that he would be relieved of the anxiety about Krishna's future. He decided to admit him in the Guindy National School, under the management of the Theosophical Society. Durgamma also was of the opinion that the mischievous pranks would come to an end. Maybe a change of environment would bring desired results as normally happens with recalcitrant boys. Krishna reacted. 'Yes, Grandpa, I will join this school.' Pantulu got him admitted in the school as well as the hostel, remitting all the necessary fees. Necessary dress and other things were provided to Krishna. Pantulu left for his lodge wishing that his grandson should become a perfect Theosophist. His admission in that school was, perhaps, the first step in that direction. Pantulu told Durgamma that all their anxiety about Krishna had ended at last. No more worry about him, he thought. The boy would be on the proper track for progress, at Madras. Durgamma was disturbed at heart for leaving her grandson there. It was the first time for her to keep him away from her. Pantulu stayed away at Madras for some more days to attend to some other work and Durgamma left for Gudivada the next day. In the new surroundings and among new persons, Krishna felt lonely. He had a liking for the change, and a little dislike too. None could converse with him in Telugu while a few converse in Tamil but many in English. After two days, a dignitary was visiting the school and he would address the students also. It was directed that everyone should come to school neatly and well dressed, without fail. All the arrangements were made to receive the important person. Krishnaji addressed the students slowly in English. Krishna followed him attentively. But after some time he lost interest. The personality of Krishnaji was commanding. The speaker appeared to be more attractive than his speech. After four days, while Pantulu was talking to somebody at his lodge, he suddenly noticed his grandson at a distance, walking towards him. Pantulu could not believe what he was seeing. This little fellow is coming walking, all the way alone, from Guindy! 'How bold he is!' Pantulu wondered. But should not the boy be reprimanded for absenting himself from school? 'Grandpa! I am confused in the school. I don't like it. I spent sleepless nights. I will not stay there!' replied Krishna decisively. He felt happy for coming out of the school premises. 'Then you shouted that you did not like the school at Gudivada. Now this school is repulsive. Well, God knows which school you like!' Pantulu was uneasy and disturbed at the decision of Krishna. Till the moment, Pantulu was thinking that the problem of his schooling was solved. Krishna was silent and adamant. He was not afraid of his grandfather's reaction. No question of going back to the school; he stuck up to the same decision. 'I don't know all that. I shall become great studying at Gudivada school only. Not here. Everything is confusing here. I won't read here!' Krishna repeated. Pantulu knew the stubborn nature of his grandson. It was impossible to convince him or to change his view. He could not be forced. Even if he was forced, he would definitely run away. 'Alright. Destiny governs everything. We are only instrumental.' Pantulu reconciled himself. He was however unhappy over the wastage of hundreds of Rupees in this connection. One may be able to take a horse to a pond but one cannot make it drink, however tasty the water may be. Krishna's attitude was worrfying Pantulu. The boy was sitting in a corner. He wanted to take him out to make him cheerful. 'Kittu! Shall we have a joy ride? Or shall we visit the famous zoo?' asked Pantulu. In earlier days, Kittu would have jumped up, but now, he was not enthusiastic. He could very easily guess the motive behind his grandfather's proposal. 'No, I am not interested,' was his brief reply. In those days, tourists and other visitors to Madras, could have a bird's-eye view of Madras while hovering in an airplane at the rate of Rupees 5/- per head. Once Pantulu and Kittu had that experience. While flying in the air, through the clouds speedily, Krishna was observing the great pilot, who was driving it. The pilot was a great hero for Krishna. The pilot was sitting in the front in a dignified manner to fly the plane. How lucky! Krishna wished to travel in a plane and tour the entire world in the future! Krishna had many fanciful imaginations in those days. He desired to become the engine driver of a train so that he could see many towns. He had enjoyed a number of classical stage dramas. He was particularly observing the viewers, who clapped, shouted and applauded when the climax scene was being enacted. Krishna wanted to become a great actor and get overwhelming appreciation from the audience. Krishna had many such reminiscences of his early childhood. Now, Krishna's aspirations were altogether different. His sole aim was salvation, 'knowing the self' was the only goal for him. Young children get attracted by different fields and they choose some one or other in those fields as their heroes. They admire them and imitate them. But as they grow up their aims to achieve in life also change. The backgrounds of individuals vary and hence their objectives. Spiritual thinking was deep-rooted now in Krishna; and all other earlier aims had become simply childish and trivial. His outlook totally changed, completely transformed, metamorphosed into different nuances. Soon after, Krishna started to comprehend things and happenings around him clearly; his grandfather attracted his attention. The daily routine, behaviors and style of Pantulu were very keenly observed. Under his shelter, Krishna gradually modified and moulded himself carefully. There were a number of great traditions. For Krishna, Pantulu was a hero of the heros! Hero worship was prominent in the juvenile psychic life of Krishna. In his young mind an emotional bond with his grandfather was already formed. As such, the juvenile faculty of Krishna's imagination was active around Pantulu. This mental bond was sensitive and delicate. It was pure and chaste. Krishna's mental investment for strengthening this bond was so much that even the slightest blow or distortion to it could be intolerable. The Theosophical Society had been providing food to all the members in these specified rows. One marked for traditional and orthodox people, namely Brahmins. The other row for others. On that day, Krishna had a flash of a new idea. Whether it was to test the honesty of his grandfather or merely a casual incident. Krishna caught hold of his grandfather's hand and pulled him towards the second row of boarders; he sat near a plate and asked his grandfather to sit next to him. All the people felt happy when Pantulu joined them in the row. They invited him cordially. Pantulu had no other way to go than to sit with all of them and take food. He faced a lot of discomfort but exercised restraint and formally finished his meal. Both of them silently walked to their residence. Pantulu was fretting and fuming at heart. 'This fellow knowingly or unknowingly dragged me to that row. Why did I not resist him? What happened to all my wisdom? How unfortunate!' Thus thinking within himself, Pantulu had been, till then, suppressing his anger. Immediately, after coming home, he burst out at his grandson. Krishna was shocked at the violent reaction of his grandfather. He did not anticipate such a violent outburst. What a wonder! Did his own grandfather really react like that? Some time back, Krishna observed his grandfather donate some amount to Guduri Ramachandra, who had been working hard to eradicate untouchability and to uplift the scheduled caste persons in the society. His grandfather promised the social worker all his cooperation in the future also. Did the same grandfather shout at him today like this? Krishna began to question himself, with astonishment for his grandfather's behavior. Ramachandra was a bachelor. He had inherited a lot of wealth and he collected donations in Krishna District area. With Gudivada as his center for his social service, Ramachandra had been influencing the entire area to achieve his noble goals. 'Congratulations, Ramachandra! You have been doing a great service. You are a real disciple of Gandhiji' commented Pantulu once, in admiration of his service. Did this same grandfather shout at him today like this? Krishna found himself entangled. What is all this? Something is wrong somewhere! The same individual is behaving in two different ways. Two contradicting personalitie in the same individual? One is internal; the other is external! Each opposing dramatically. There are inconsistencies. One does not agree, or match, with the other—great ideals on one side and traditions which could not be questioned (or violated) on the other side. How can there be a balance between them? Their basic nature is itself an artificial conglomeration! For the last few years, his grandfather had been his hero, the ideal to follow and a personality was appearing dim and smoky. Krishna felt severely disappointed. He felt hurt at heart. A question mark was staring at him. He was in deep agony to the blatant hypocrisy of his grandfather, who he venerated as his demigod, who he thought of as a symbol of virtuousness and worthy of emulation. He could not digest it. He was shocked to the bones. They returned to Gudivada. Pantulu entered the house by the back door. He asked a servant to get a dish full of salt immediately. He added water to it and applied the clay to his entire body. He appeared like a clayman for Krishna. Hot water was made ready for his bath. Pantulu used coir, but not soap to rub and clean his body for his bath. Standing in the sun he cleaned himself again with a towel. Wearing dry clothes, Pantulu entered his prayer room. Krishna never felt guilty or felt sorrowful as a result of this unpleasant episode. In fact his grandfather's honesty and philosophy of his personality are put to an acid test, which shattered his 'hero image' of the grandfather. He asked himself again and again, why this rank hypocracy? Deadly dichotomy? Was he not as hollow as the inside of a temple bell? After one hour, Pantulu came out of his prayer room. He preserved the papers given by Koumara nadi astrologer in the iron safe carefully. Later, when his wife was alone, Pantulu informed her all the predictions. Such personal matters were always kept confidential. Both of them discussed the issue of the upbringing of Krishna with utmost care in every respect. Krishna still remembered the Golden Jubilee celebrations at Adyar. Particularly the magnificent speech of Annie Besant, under the banyan tree, continued to be fresh in his mind. He wished to address a gathering, on the same lines as mother Besant. Then, how? Where? How to get an audience for him? Suddenly an idea struck him. One afternoon, when everyone was having a nap, Krishna dressed himself like his grandfather and combed his hair. He put on the chappals and slipped out of the house. He called some street urchins who were roaming here and there. He beckoned to them and said, 'If you just stand before me for a few minutes, I will give each one of you five coins.' They did not believe the boy. They thought that it was a practical joke and they did not care for his words. Mischievous children were not new to them. Some thought that it was a fancy dress and wanted to know his activity more in detail. At a short distance from his house, there was a mound. He stood upon it, and asked all the passersby to stand before him. They gathered around him near the mound. He coughed a little, and adjusted his throat, like any other public speaker. He started to address them in his own way. He did not know what he was telling them. His speech consisted of a number of Telugu words as well as English stammerings. There was no coherence between the sentences; it was simply gibberish. Krishna tried to imitate Mother Annie Besant in gestures and facial expressions. Nobody could make out heads or tails of his lecture for ten minutes. Then he asked them to clap in appreciation of his speech. Everybody clapped and smiled at him. He humbly bowed to all of them and stepped down the 'dais.' Immediately Krishna took out the small coins from his pocket and distributed them to his listeners. It was not known why he distributed money. They all left the spot smiling at him. What he did today, in his own way, indeed, an indication for his hidden talents of a future eloquent speaker. Whether willing or not, Krishna had to join the same school, at Gudivada. Whatever it might be, Krishna had a lot of freedom, at Gudivada. There was no such freedom in Guindy National school. In the name of discipline, there were a number of restrictions. Everything should follow the time-table strictly. Every student should sleep at 9 o'clock at night, whether sleepy or not. Though the students were not caned or punished, though the school was adapting new methods of teaching, for Krishna, it was abhorrent. He simply did not like that system. If his freedom was restricted, Krishna would never tolerate it. He wanted to be like a free bird, in and out. 'The coarse gruel in free life is found better than milk porridge in a slavery den': A Telugu Proverb. Krishna continued to be indifferent towards school education. Pantulu tried his best to persude him to be attentive to school work. Krishna always paid a deaf ear to his grandfather's advice. Pantulu thought of providing a special tuition at night. Soon after the dinner, Krishna was sent to a tutor daily. A servant boy of about twelve years of age, should accompany Krishna, with a bright hurricane lantern in hand. There was a touring Cinema hall on their way. Krishna and the servant boy were listening to the songs and dialogues, while going to, and returning from, the tuition. Krishna was tempted to see. One day, he decided to play truant to the tuition class. He warned the servant boy not to inform them of the matter at home. Thus both of them attended the film show and returned home. Now and then, the two boys used to attend the film show and specially the servant boy was very much thrilled. Added to the film show, Krishna was purchasing many peppermints. In those days, the theaters were having oil engine generators. To wind and unwind a real for projection some time was invariably required. One day, after the film show was started, the two boys entered the theater and slowly stepped towards two vacant chairs and occupied them. After 15 minutes, in order to change the reel, the show was suspended and lights were switched on. Then, in that light, to the astonishment of Krishna, he was occupying a seat next to his grandfather. Pantulu noticed the boy and was very angry. But he controlled himself. After returning home, Pantulu began to chide the servant boy, in the presence of Krishna, 'You rascal! Both of you are cheating and hoodwinking us. Aren't you? Kittu has to go alone for tuition all the way at night. So you are asked to give company to him. But you have connived with him. How long have you both been going to the film shows like this? Speak out the truth. Otherwise, I will tear you into pieces!' roared Pantulu. Pantulu nodded at him and said, 'Alright! What had happened had already happened! In the future, if Kittu threatens you again, tell me! I will look into the matter! If I come to know of your joining hands with him—beware. I will not spare you!' Then Pantulu rebuked his grandson, 'If your schooling falls flat like this, and if your special tuitions are also neglected, what shall I do for you? Tell me!' The boy was silent. After returning from Adyar, Krishna's desire to learn English well, increased. He started to read the English periodicals of his grandfather, daily, whether he could understand or not. Whatever he could understand, was assimilated immediately. Krishna purchased Sankara Narayana's dictionary to look for Telugu meanings of difficult English words. His vocabulary thus increased gradually. The popular J.V. Ramanaiah's English and Telugu grammar and Wren and Martin's English grammar helped him a lot to learn the language. Thereby he could score eighties in examinations. His grip on the language became gradually stronger and his confidence, elevated. A few days back, at the time of going over to Adyar, to attend the Golden Jubilee Celebrations of the Theosophical Society, Krishna realized that the mind had tremendous willpower. By utilizing that power, he had been satisfying his petty desires. This personal ability strengthened his independent attitude and increased his self-confidence. He established supremacy over all the other children of his age. Krishna observed keenly that his desire was requiring some time to be fulfilled. He could not know the reason for the delay. The will power of Krishna was revealing itself on various occasions. Half the number of desires were being fulfilled. Was he wishing an incident to take place just before the actual incident, or was it merely an accidental coincidence? For Krishna, the school was nothing but a jail. So, he was often trying to find out ways and means to escape from it. One day he strongly desired not to go to school. But how? What reason or explanation should be put forth at home? He thought over again and again. Ah! Unless it rains, a holiday can't be declared, therefore, it should rain today. So it rains today! Definitely it rains...yes, it rains! So thinking and wishing for a rainfall, again and again, he was going. Yes, it is getting ready! At any moment it begins to rain—at any moment. Miraculously the sky became cloudy and it rained heavily. The school declared it a holiday for immense pleasure of Krishna. On another day, he wanted to stay away, at home—but how? There should be a direction from anybody to him not to go to school. Some order should come to him. Somebody should ask him not to go to school! Yes, the order should come. It has to come now. Now—itself—at any moment! His desire or will was strong and sticky! It did not leave his mind at all. Within a few minutes, Durgamma called him and said, 'Ramudu, don't go to the school today. A grand feast is scheduled in the afternoon. A number of guests are also expected to arrive from neighbouring villages. Your help is required, and, as such, I will convince your grandfather about it. Meanwhile, you attend to the urgent things! I shall look to others in the kitchen!' Krishna felt very happy. 'How do you know it?' they laughed. 'The teacher can't come—will not come—to the school. We have a holiday!' replied Krishna. He did not like that teacher. A few days back, Krishna wrote the word, February, with a wrong spelling. The teacher punished him for it, and made him write the word correctly, twenty times, on the sand. That teacher was the first person to beat Krishna. So he should be the first person to suffer from fever—none else. 'My word won't go to waste! By this time already the teacher might have had fever! How can he come to school?' Krishna repeated his prediction. Within a few minutes, the school peon came to the class and announced, 'Children! Your last period teacher is having fever, and he applied for leave. You can go home now!' The friends and other classmates of Krishna wondered how it all happened as Krishna could foretell. 'Oh! This! A simple edible item. While we are eating the sweets, those children were gazing at us. They also want to eat them. Nothing is lost if they also enjoy eating sweets. What is wrong in it? It is my pleasure!' said the boy. Durgamma kept mum on hearing him. 'Grandpa! I went for him. He is out of the station!' bluffed Krishna. Next day, early in the morning, Venkata Rao came to meet Pantulu, and informed him that he had gone to Guntur the previous day. One day, while at school, Krishna all of a sudden wanted to go home. He did not know why he had such a desire then. He slowly approached his teacher and said, 'Sir, my grandmother has fallen sick at home suddenly. A message has just been received.' So saying, he took leave of the teacher and went home. To his great surprise, his grandmother was really sick at home. He approached his moaning grandmother slowly. She beckoned to him and said, 'Come on, Ramudu! I have been thinking of you and you have come. Will you please go to the doctor and get me the medicine?' There was no one else to attend to her at that time. Durgamma's journey to Machilipatnam was postponed several times. On that day, she was strongly determined to visit her daughter, Sarswatamma, without fail. She informed her husband that necessary arrangements should be made. She was busy preparing sweets and savories. Krishna came back from school. In the air, he could smell ghee emanating in the kitchen. He went straight there and saw freshly prepared edibles neatly arranged in the basket. What is special today? He pondered for a while, picked up one sweet and started eating. He took some more and distributed them to the servant's children who were playing in the backyard. 'Today I am going to Machilipatnam to see your aunt. It was a long-pending trip,' said Durgamma. 'Come on! You naughty boy! Do not play with me. How do you know?' she questioned. 'That I do not know. But her arrival is certain. Wait and see,' he said very confidently. After a few minutes, Pantulu came running: 'Let us start early. There is little time left.' So saying, he went inside to change his clothes. All of a sudden a horse drawn carriage halted before the house. To Durgamma's surprise, her daughter Saraswatamma emerged from the cart along with her son, Narasimha Rao. 'How come you are here? We are about to start to your place,' uttered Durgamma in bewilderment. 'We waited for your early arrival. You did not turn up, maybe you are busy with household chores. So we came here,' said Saraswatamma casually. 'Did you inform to anybody about your journey before hand?' Durgamma asked with a tone of surprise and disbelief. 'No! We took a sudden decision. Why you are so surprised?' she enquired eagerly. Durgamma was stunned. 'How could Ramudu foretell your impending arrival? How is that possible?' she said astonishingly. Maybe this is an example of 'a child premonition one and the same equal to God's prediction' (quoting a Telugu proverb baala vaakku Brahma vakku), said Saraswatamma, appreciating Krishna's mental prowess. Nearby in the school an old woman would sit out daily and used to sell homemade sweetmeats to eeke out her livelihood. Krishna would buy, now and then, a few eatables for his friends. In the course of time the old woman noticed a dramatic change in her business. Whenever Krishna makes purchases, she would sell the remaining stuff in no time. She thought, 'The boy was my lucky mascot!' She would be expecting every day, avidly, for Krishna's 'Boni' (lucky penny). She wore a luminous face. 'Abbayee! (little boy) your hand is very lucky for me. Once you make a purchase that is sufficient, the rest would be cleared off in a short span of time. Hence these extra sweetmeats are being given for my satisfaction,' said the old woman in a gesture of appreciation. 'No!' Krishna said. 'I would not take anything free of cost.' He paid the balance amount and left. Krishna regularly would buy from her. After a few months the old woman disappeared. Later it was known the old woman died in her sleep. One day Krishna and his friend, Raghava Rao, went to a shop to purchase something. The shop was crowded. Krishna had a habit of handing over money beforehand, as such, he gave one rupee coin, lo, the shop owner asked for his requirement. The owner instantly took the coin and put it into his box. Krishna waited for his turn. After a while, to Krishna's astonishment, the shop owner demanded the money again, forgetting he had already taken it. Raghava Rao argued that the money had been paid. But the shop owner refused to believe. Some heated words were exchanged. Krishna stood silent without interfering. He again handed over another coin without any hesitation and obtained the article, and left the shop, to the utter surprise of his friend. 'Why you did not question him? Why did you tamely surrender for his fault?' argued Raghava Rao. Krishna did not reply. After a few days Raghava Rao came to know that the shop owner met with an accident and was hospitalized. Krishna thus was getting all his desires fulfilled, by virtue of his own will and confidence. Day by day, the worship in the temples, the vows of the devotees to gods, and other related programs lost grip on Krishna completely. Afterwards, Krishna did not go to any temple. He did not accompany anybody to such places. He started to think that he was self-luminous. As such, different gods in temples (including his favourite, Karanji Anjaneya Swamy of Bangalore) faded out from the mind of Krishna. At the very young age of seven years, Krishna developed immense dislike for God. He turned his back towards God. God was totally 'routed out' from his consciousness. In agreement with the Septennial cycle governing his life from the time of his birth, in an unimaginable manner, this is the first of the different transformations in his life. 'Our classmate's mother died. They all might have gone there,' he replied. Immediately, Krishna searched for his house and went there. Heart-rending weeping, cries and sobbings were coming from within. Krishna went in and found his friend sitting in a corner crying for his mother. Some relatives were consoling him. In the Central Room, the dead body was lying on a palm leaf mat. Near the head of the corpse, an oil lamp was lit. Relatives and friends were all there. What is meant by death? What happens to the person after death? Where does this person go? Are there heaven and hell? Really? Generally children are afraid to go the burial ground. It is said that is an abode of ghosts and that they take possession of children. If anybody wishes to go there, elders dissuade him. Krishna followed the corpse to the burial ground, without any fear, whatever. He observed the funeral rites and the actual burning away of the body. He was not at all disturbed; he thought that all that was natural. Except the inquisitiveness to know the proceedings, Krishna did not feel anything in that context. Somebody conveyed the news to Durgamma that Krishna went to the burial ground. She was upset on hearing it. Within a little while, Krishna returned home. 'Stop there! Have you not gone to the burial ground? Why?' she shouted. 'Why not? I wanted to go; and I went there. What if?' he retorted. Krishna could not know the reason for taking a bath on return from the burial ground. He, however, took his bath and came in, Durgamma smeared a little sacred ash on his forehead. With the help of a stick she shifted his clothes to some other place and purified the whole area by sprinkling a little turmeric water. On that day Krishna came early from school as he was tired, went to bathroom washed himself and straight away went to his room, changed his clothes and slept like a baby in the fetus. After some time Durgamma stepped into his room to collect the soiled clothes. She picked them up and she was about to go, her eyes turned towards the window. She was taken aback! Shock waves of fear transmitted all over her body, her heart pounded violently, when a snake coiled on the window grill like a hanging garland. The distance between the cot and the window was about five or six feet. Petrified Durgamma, without making any noise, gathered all her strength into a focal point and dragged the cot towards entrance door. Immediately Krishna opened his eyes and shouted at her, 'Why you are dragging my cot?' He stood up. Durgamma silently waved her hand showing the window. By this time the snake started unwinding going outside. Strangely Krishna was not afraid of it. He kept quiet and watched keenly. It was large, ash colored, and had shining skin with white dots. The snake slowly uncoiling started slinking without Fizz but it's fissilingual tongue moved incessantly in and out. It slithered out slowly by scaling a nearby compound wall. The rays of dying evening sun flashed on the snake's satin smooth skin like a mirror's reflection. It sneaked out of sight. Durgamma said to herself, 'My God! What is this? Had I not seen what would have happened?' She recapitulated a similar incident which occurred years ago, when Krishna was a toddler. A snake catcher was called. He scanned the vicinity thoroughly but in vain. However the small cleavage on the outside compound wall was closed by stones and plastered with mud. Pantulu was completing sixty years of age that year. As per nadi astrology, it was predicted that he would pass away that year. So, as per the tradition, a large-scale function was planned for that day of completion of 60 years (Shasti Poorti). Relatives from different places arrived. Palmyra pendals were erected. Green leaf garlands decorated all the thresholds and gates. A large fireplace was specially constructed and the cooks were busily preparing special items. Pantulu knew the forecast. Yet he was cheerful and busy. An important item of the celebrations was the remarriage of Pantulu and Durgamma. The invitees were anxious to see the bride and bridegroom! But Durgamma was depressed at heart. She knows the prediction of her husband's death during that year was haunting her. However she was participating in the celebrations in a traditional way. The whole house was wearing festival looks. But the attention of Pantulu was more on his grandson and his future. If the prediction proved to be true, then who would look after Krishna? Who would shoulder his responsibility? Jagannadham might take up the responsibility for the time being but, in due course, he might neglect him. Everybody could not manage with the recalcitrant boy, Krishna. He had his own characteristics, unlike others. Pantulu could give large amounts of money for looking after the boy. But also who could receive the affection for his grandson? Pantulu was doubtful of the prediction because he was quite hale and healthy. The ways of Destiny are always unpredictable. In what form, and when, he might be devoured by Death, none could guess. There are a thousand and one entries for Death to step in for him. 'Everything is governed by God's will. What am I after all—to escape from it? I am merely an instrument,' he thought. Naturally, by relationship, people would inherit ventral properties, but as for their personal relationship, they'd not adopt the cherished ideals of philosophical learnings envisioned by Pantulu for Krishna. Pantulu sent word to his grandson to come to his room. Within a moment, Krishna was in his grandfather's room, gasping for breath. 'Kitty, sit steadily for a while. I have to inform you a very important matter. I don't know how to tell you. I am afraid that you may be disturbed to hear it. You may also be afraid to listen to it. First sit down calmly and steadily,' so saying, Pantulu looked at his grandson anxiously. 'Come on, Grandpa! What is that? Tell me immediately. I have a number of activities on hand. I left them and ran up to you,' asked Kittu, looking out through the window. 'Suppose I go to a place from where I will never return. Then can you live without me?' Pantulu again asked him. Krishna could not understand what Pantulu meant easily. After a moment, Krishna looked at his grandfather steadily and said, 'You are not going anywhere, you are staying. You are fooling me. Are you not?' Krishna wanted to go out quickly. 'Oh! That man! We met him at Madras. You mean that man?' asked Krishna. 'Yes, same person. He hinted that I may die during this year. I am worried about your future life in my absence.' Pantulu tried to observe his grandson's reaction. Pantulu was shocked at the response of his grandson. He expected that his grandson would be upset by the prediction. He imagined a different type of reaction. Thus thinking at heart, Pantulu felt a great sense of relief and answered, 'Kittu, Yes. You are well protected. I have written my will in a systematic manner. Accordingly, you can live happily. The rest is left to destiny.' He did not reveal the details. 'So you mean I need not be afraid—you have taken all necessary precautions? I can live somehow or other. But Grandpa... How will you die so suddenly? No, you won't die. That Nadi prediction may be wrong,' replied Krishna indifferently. Nadi astrology was considered as most reliable. But in the case of Pantulu, it failed. Due to unknown reasons perhaps the Destiny itself has changed. Or had the 'Vaksiddhi' (word power) of his grandson altered the prediction? No one knows. In 1926, while touring the Andhra area, Krishna visited Bezyawada. He stayed with Raja Gopalachar Lyengar. It was publicized that his addresses were scheduled at the Museum Hall, on Machilipatnarn Road. The local theosophists, Hindu scholars, and others, attended the meetings. Pantulu also was present for the meetings, along with this grandson. Krishnaji hailed from the Andhra area. He was wearing a lace bordered Dhoti, lalchi and gold laced upper cloth. He was reflecting an ideal Andhra. With beaming face, powerful looks and facial expressions, Krishnaji had an extraordinary attraction. Everyone liked to look at him, time and again, unblinkingly. The speech of Krishnaji in English seemed to be understood partly, and a part of it was not understood by Krishna; though he was not very attentive throughout his speech. Krishna desired to see him again. He observed that everyone considered Krishnaji like a heavenly-chosen one. 'After I grow up, how would it be if I could talk to him? Anyway, I must talk to him someday,' decided Krishna, being very much attracted by Krishnaji. 'Grandpa! People say that Krishnaji is a Telugu person. But why did he speak completely in English? How he does not know Telugu? He did not talk to anybody in Telugu,' remarked Krishna. 'I should learn English well to be able to speak to great people. Command of the language is required. Afterwards, for higher education, I must go to London,' repeated Krishna, within himself while going out. Krishna paid more attention to learn English. Whenever he could, he used to read some English books or the other. He started reading newspapers also aloud and began to improve his pronunciation. Whenever he came across anything interesting in any paper, he was cutting it and preserving it to read it again and understand it. In a short time, he could grasp different idioms of the language himself. He developed a little ease in expressing himself. Though none was before him, he began to speak aloud, as if he is addressing a gathering. He was improving himself. Pantulu was a principled person. He was time conscious and a time schedule was followed in everyday life also. For example, lunch was scheduled at 12 o'clock. It was a statuary rule. Krishna did not like such a rigid frame of life. He might be ravenous but he could not have food till 12 o'clock. So he thought of a clever solution. With the help of a stool, he was reaching the wall clock to move the long hand of the clock conveniently and keeping quiet. At the stroke of the hour, he was getting his food, whenever he felt very hungry. After the lunch was started, he used to observe his grandfather's movements when Pantulu was otherwise busy or taking rest. Krishna was setting the clock to his convenience. This trick could not work for many days. One day, as usual, Krishna adjusted the clock and waited for the clock to ring. He did not know that a few minutes earlier Pantulu rewound the clock. When the clock started to ring, Pantulu was perplexed a little and opened the cupboard to look at his watch. It was reading 11.30 A.M. For a moment Pantulu could not guess where the actual fault was. After the lunch, Krishna was caught red handed, when he was setting the wall clock. 'Oh! Now the cat is out of the bag! All these days, you have been meddling with the clock. Haven't you? Why?' questioned Pantulu. 'Yes. Food is not provided till 12 o'clock. I am feeling hungry. What to do? This is the only solution, ready in my mind. That's all!' replied the boy. He could understand the predicament of the boy and ignored it, surprising his smile. He could not decide whether to chide the boy for his mischief or appreciate him for his intelligence. Krishna liked to know the mechanism of everything on hand. He was very inquisitive to know 'the why and the how' of everything. The wall clock had been attracting his attention for a long time. One day when his grandfather was away he removed the clock from the wall and carried it away to his room. He bolted the door. With the help of a screwdriver he dismanted the clock, totally, and all the parts of the clock were separately examined carefully. Krishna was confident to replace them in their respective positions carefully. The clock was re-assembled and hung on the wall, within a few minutes. It appeared perfectly alright, but did not work! The pendulum was given a number of swings. He tapped the clock here and there. But it did not work. He did not know what to do. It was left silently on the wall. In the evening Durgamma complained to Pantulu that Krishna meddled with the wall clock. 'He is too mischievous to tolerate. I am getting tired of him. He can't be quiet. None can anticipate his acts and their consequences. A perfect clock has become useless in a few minutes!' commented Pantulu, and sent word for a mechanic. The clock was first carefully checked up by the mechanic; and then he made it work in just a moment. Pantulu appreciated the sharp intellect and understanding capacity of his grandson. But such a highly intellectual child is not interested in his schoolwork. Why? Pantulu had no clue for it. 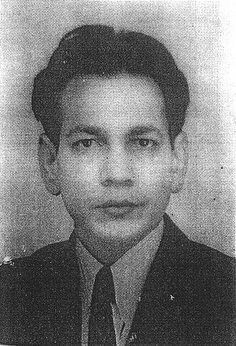 For summer vacation, Pantulu planned to go to Bangalore along with his family. From Machilipatnam, Saraswatamma, with her children, Narasimha Rao, Subba Rao, Rajyalaxmamma from Bezwada Jagannadham and his family also joined them. One day, they all went to Modern Hindu Hotel at Bangalore. Already the hall was full and the family rooms were on the first floor. They were walking up the steps and a server was coming fast down the steps, with tiffin plates in both hands. It so happened that he clashed against Krishna. One of the plates pierced the forehead of the boy. There was instantaneous profuse bleeding. Krishna was silently bearing the wound, as if nothing had happened. Pantulu was disturbed and commented, 'Kittu, see what happened? Why don't you be just gentle enough. You go on jumping up like a grasshopper. Why did you cross him? Oh My God!' Krishna was immediately taken to the nearby hospital for necessary treatment and dressing. It took many days for the wound to heal up, leaving a permanent scar on his face.